Get ready New York City, the month of Archtober is almost upon us. While October heralds the return of chunky knits and PSLs, New York City’s architecture and design community knows that the tenth month of the year is really Archtober, AIA New York’s celebration of the built environment. In collaboration with the city’s cultural institutions, Archtober (also known as Architecture and Design Month) fosters awareness of architecture’s role in everyday life through exhibitions, conferences, films, lectures, and the Building of the Day tours – architect-led visits to the city’s best-loved structures and landscapes. The first site this year is the Woolworth Tower Residences, apartments by SLCE Architects in Cass Gilbert’s classic neo-Gothic skyscraper. In partnership with AIA New York, The Architect’s Newspaper (AN) is pleased to be the one-and-only source for Building of the Day blogs. For all of October, we’ll bring you on-the-ground stories and tour highlights, so you can ride on WXY’s SeaGlass Carousel, step inside LOT-EK‘s shipping container Carroll House, or explore Paul Rudolph‘s Modulightor Building, all without leaving your office. If your number-one-can’t-miss tour is sold out, don’t despair: There are more than enough events for everyone. 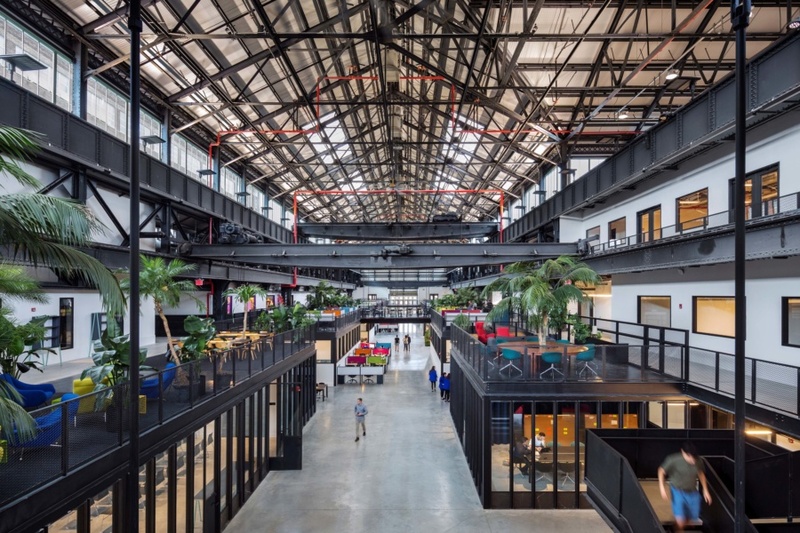 Archtober has a new series called Workplace Wednesdays where firms like SHoP, Snøhetta, and others will open up their offices to ticketed members of the public for workshops, presentations, and talks. On October 29, AN Contributing Editor Sam Lubell will give a talk on Never Built New York, the exhibition he co-curated at the Queens Museum.